There are a lot of cliche things you can lose in Las Vegas, but for me on this last trip west, it was my In-N-Out Burger virginity. First off, I couldn’t believe how everything was made fresh and to order! It was real food, but just fast. It was also one of the busiest places near the strip – it was packed with people. Just experiencing the atmosphere was worth the trip. 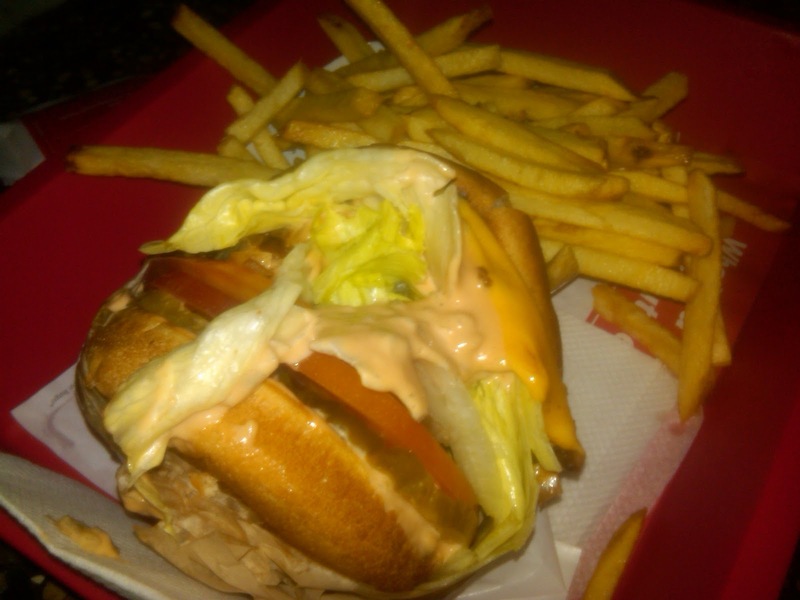 The grilled cheese was basically everything you would get on the burger, but without the burger – lettuce, tomato, melted cheese, special sauce and your choice of onions or no onions. The item is on the restaurant’s “not-so-secret menu” which is not on display, but on their website. Try ordering that at a McDonalds and I’m 100 percent sure they will greet you with a puzzled look. In-N-Out Burger completely spoiled my vision of what fast food should be, and proved you can have a good, vegetarian meal at a place that also serves burgers. Previous Post Happy World Pasta Day! I'm so glad I could help in you losing your virginity! So good right! You'll have to come out next time to try their "animal style fries"!